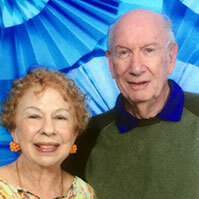 Mr. & Mrs. Robert and Carolyn Hirsch will be honored at the Gala for their longtime friendship, financial support and involvement in our Beaches Jewish community. Bob and Carolyn’s continued personal growth and active involvement in their community are an incredible example to their wonderful children, grandchildren as well as members of the community. Noam Bensimon is being honored for his service to our synagogue. This incredible young man serves as the Gabai or synagogue sexton assisting in prayers torah reading and giving out honors. Wise well beyond his 14 years, he was accepted on an academic scholarship to the prestigious Manhattan Torah Academy high school in New York. 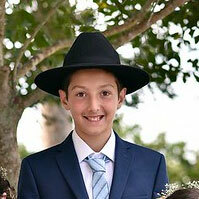 Chabad is proud to honor a second 14 year old star at our annual Gala for his service. It would not be an exaggeration to say that Avi Kurinsky has been one of the most influential figures in Chabad at the Beaches since his early childhood. Avi is involved in almost every program, event or service that takes place at Chabad. His sharp mind, eloquent talks and bright smile have been a cornerstone in our synagogue. Avi will be going to High School in Yeshivas Lubavitch in Cincinnati.